We love questions, so email or call us! 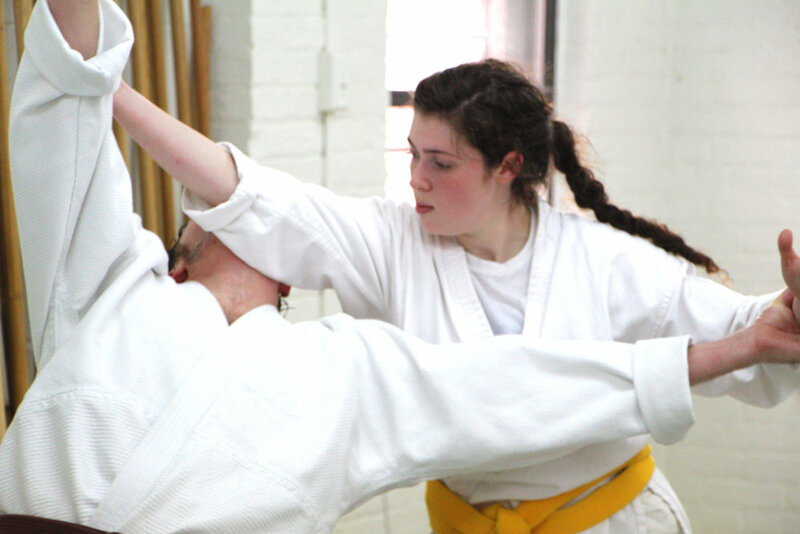 Is Aikido right for you? Let’s find out! We offer a trial class for just $20! We would love to have you as our guest for a class and show you what we’re all about. Please sign up at least 6 hours in advance through the ‘try a class’ button below. We will then email you to schedule your visit. Also, if you join within 30 days of signing up for the trial class, your trial fee will be refunded! Refund limited to one per person. Aikido is Awesome! You have the option to join our dojo! 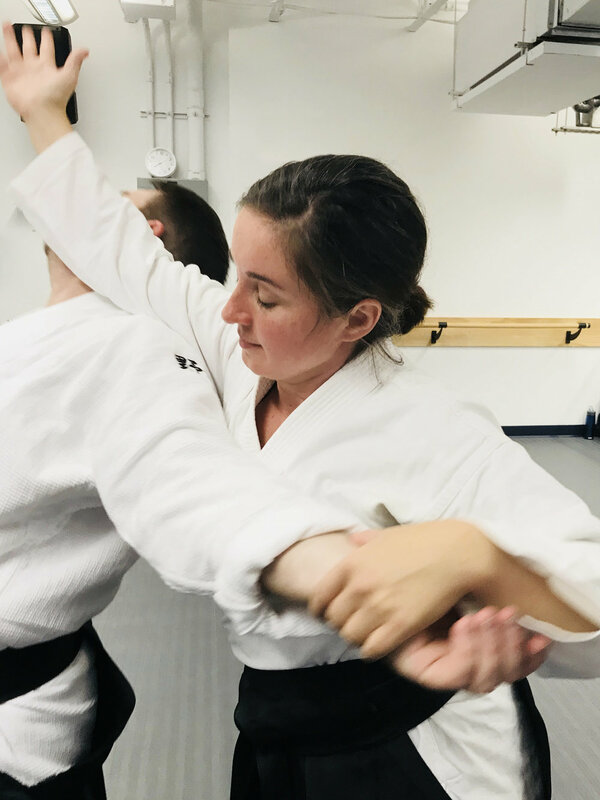 $110 gives you access to all of our class offerings and includes your first year of membership to our affiliated national organization, Zenshinkai Aikido Association (a $35 value). We use a simple, automatic month payment system that is easy to manage. Aikido Gift Certificates! Whether its a birthday or the holiday season, give something a little different this year! It’s easy to do—just click on our ‘gift certificates’ button below, then submit your payment with the name of the recipient. Upon receiving your payment, we will email you a lovely gift certificate with the name of your recipient. Aikido Family! We love families that train together! Married couples, siblings, and parents and teens—we offer a membership discount for you! The first family member that joins will be set at our regular ‘join our dojo’ price ($110, seen above), and each additional, immediate family member can join for just $90. This includes access to all of our class offerings and includes your first year of membership to our affiliated national organization, Zenshinkai Aikido Association (a $35 value). Please send us an email so that we can set your family up with this discount. 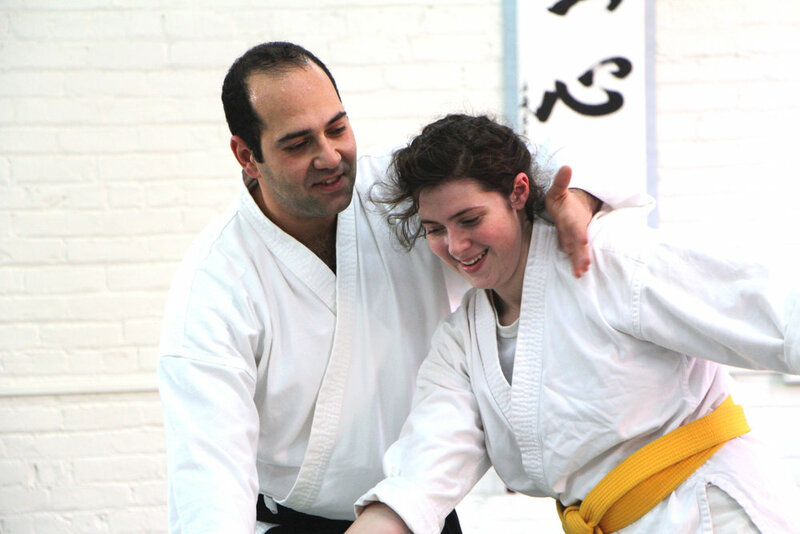 Age Policy: Students age 13 and older are welcome to participate in our classes. We currently are not offering a 12 and under youth program, but may do so in the future. If you contact us expressing interest, you will be the first to know when we do. Visitors with previous or current Aikido experience are welcome to partake in a class but must do so safely and courteously. We require a mat fee of $20. The visitor(s) must contact us at least 24 hours in advance using our mat fee payment and agreement system. Photography is prohibited. We appreciate your cooperation in keeping our dojo safe and courteous. Enter the space that your attacker wishes to occupy. Beginners are supported and integrated safely.